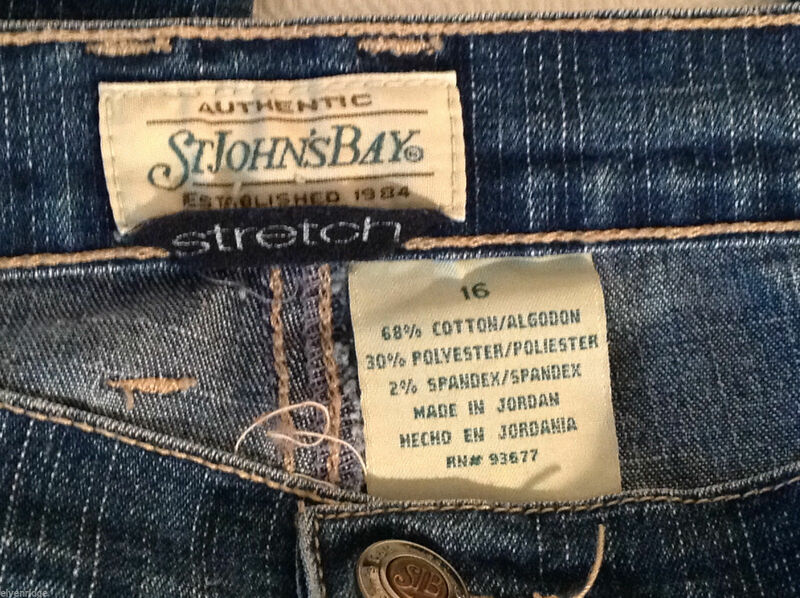 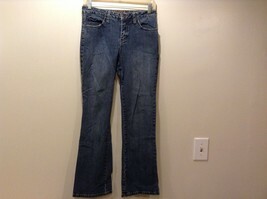 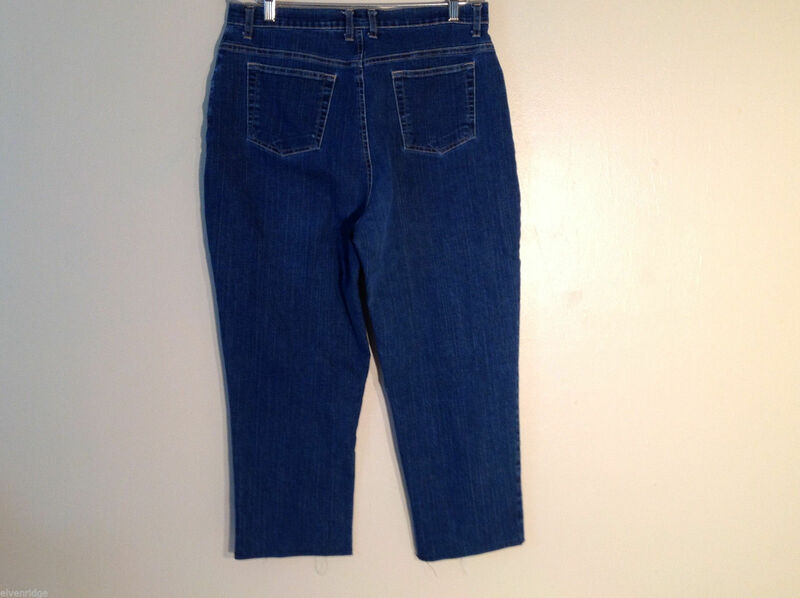 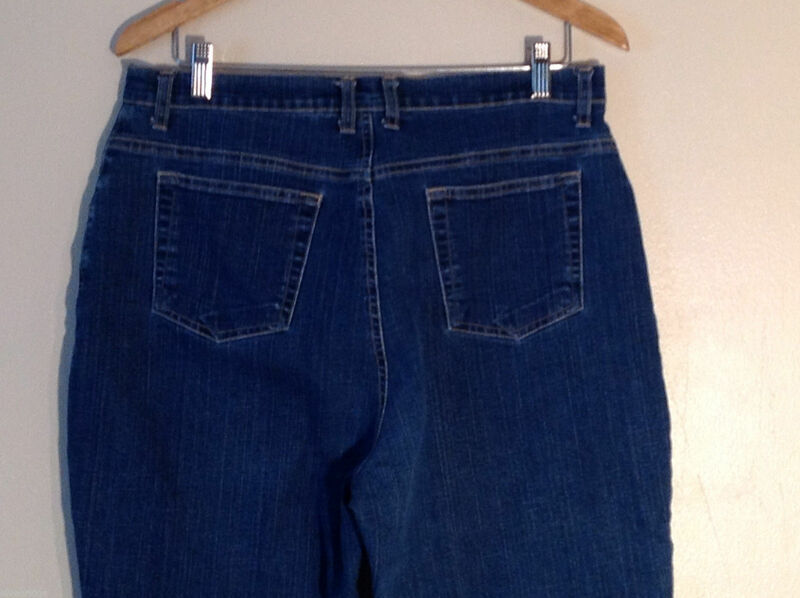 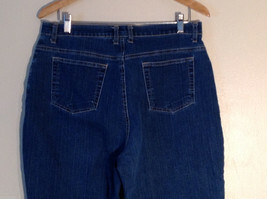 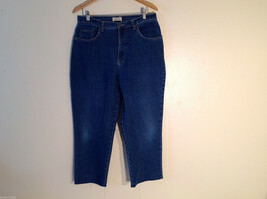 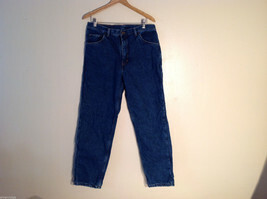 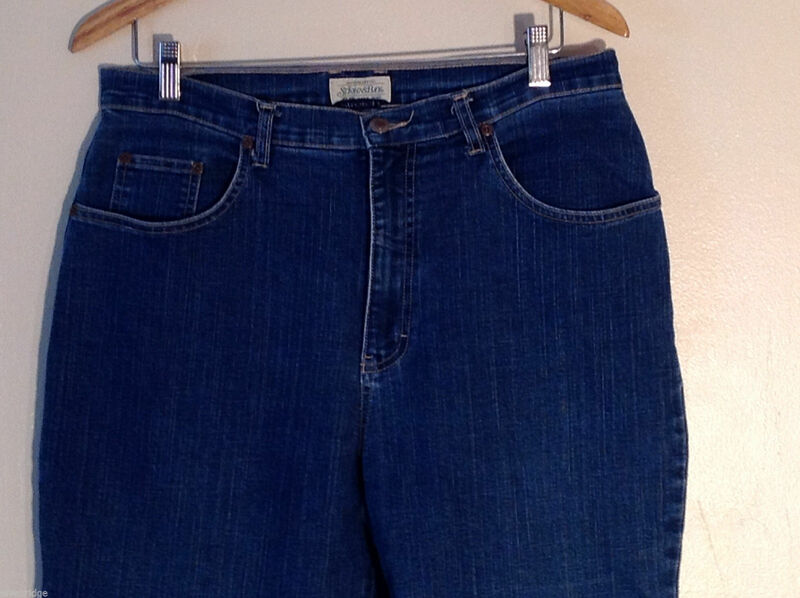 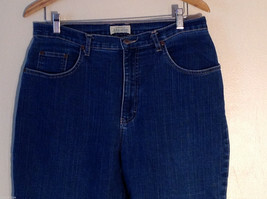 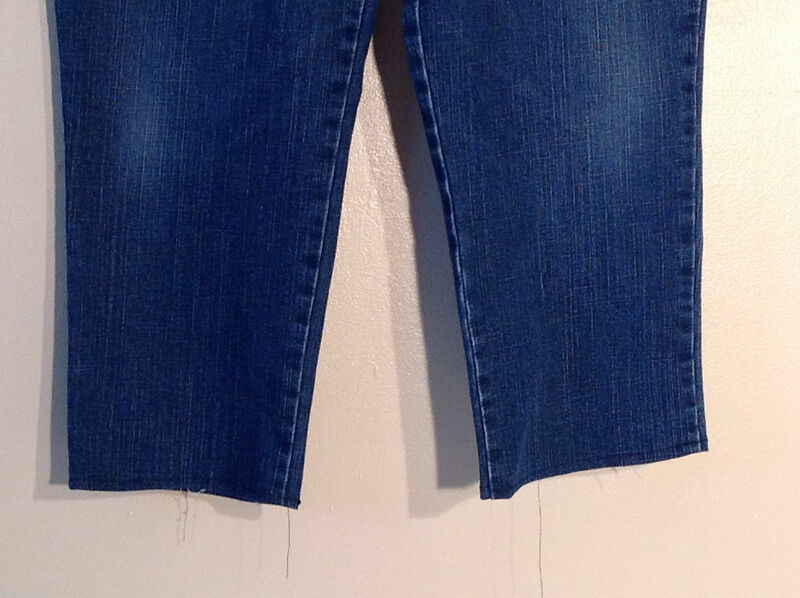 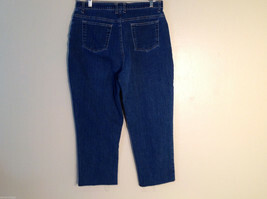 This is a pair of St. John's Bay women's plus size 16 jeans. 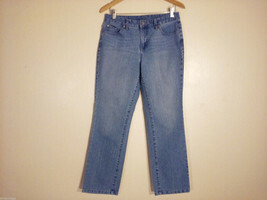 Crafted from a 68% cotton, 30% polyester, and 2% spandex blend, these denim jeans feature a solid dark blue wash and a straight-cut leg. Please carefully check the following measurements to ensure that the fit is right for you! 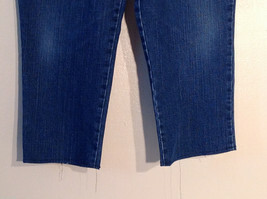 Inseam (measured inside crotch seam to bottom of garment): 26"